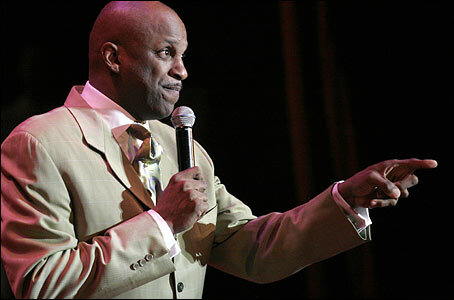 *Donnie McClurkin is a busy man these days. He put in another appearance at the National Association of Black Journalists (NABJ) annual convention in San Diego. There, McClurkin, who is also a diabetic, spoke and performed on the opening day of the convention during the morning session, sharing the stage with everyone’s favorite doctor, Mehmet C. Oz M.D., or Dr. Oz. An onstage interview with the two men is former CBS Early Show host, Rene Syler. McClurkin also works in the media; he hosts a nationally syndicated radio broadcast, “The Donnie McClurkin Show,” which airs in more than 60 markets. The show now includes a second hour, called “Gospel Gold,” which highlights classic gospel songs from influential artists including Andrae Crouch, The Hawkins, The Staple Singers, Clara Ward and the legendary James Cleveland. In addition there’s a new segment called “Donnie’s All- Star Kids,” which focuses on children who are doing amazing things in their personal lives and in their community. On August 28th, the minister will host his annual New York Call conference, which will take place in Eisenhower Park. McClurkin is also kicking off a series of meetings called “Perfecting Music Ministry Conference,” set to launch August 19 in Chicago. The two-day conference will include day- time workshops with guest speakers and evening services. “I want to utilize all my gifts to unify and draw from the different wells of knowledge we have. It’s time to realize that our diversities should not separate us, but in this eclectic display of unity I want to show the true love of God and the true love of man,” says McClurkin.